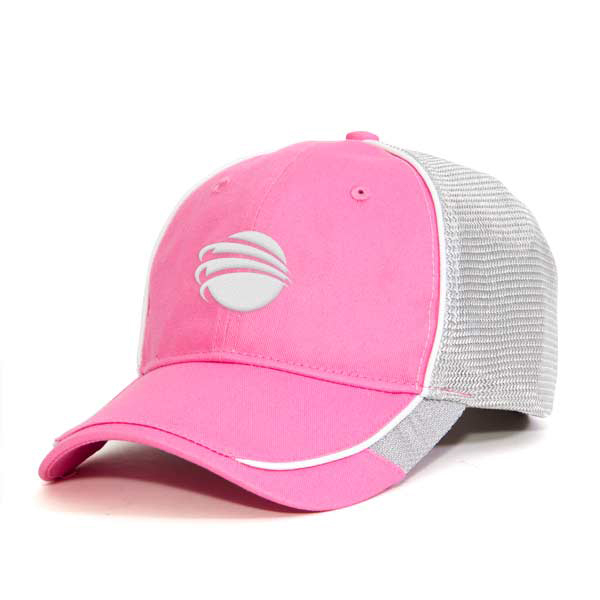 Believe in the power of pink with this trendy ladies’ cap. 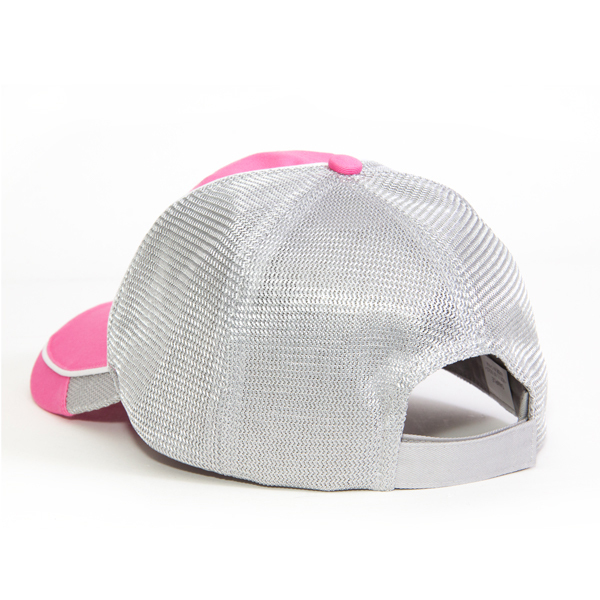 This cap is constructed with a pink twill front, a silver metallic mesh back, white piping accents. As well, this cap features matching eyelets and stitching, and a Velcro® closure.